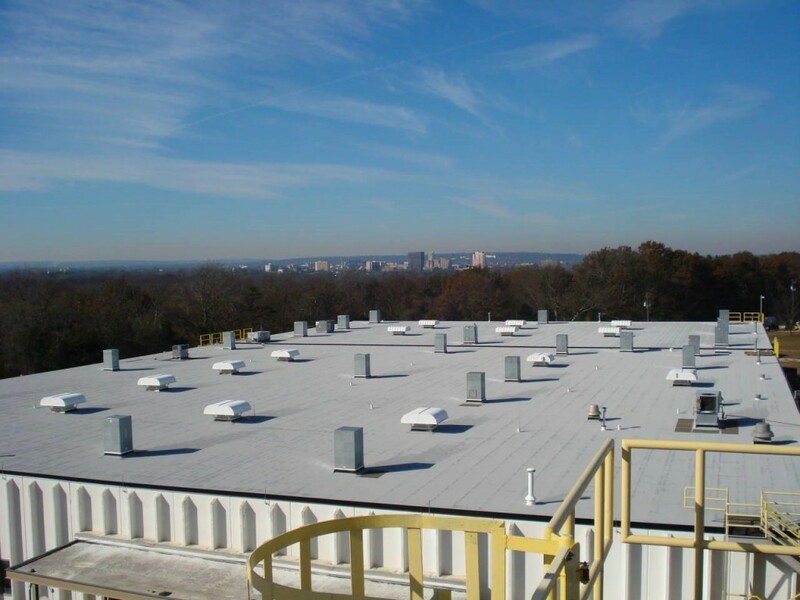 Modified Bitumen (SBS or APP) – Lloyd Roofing Company, Inc.
A modified bitumen membrane (MBS) roof is a system developed by taking the qualities of a BUR system along with the qualities of a single-ply roof. A standard MBS roof system should have a base sheet or ply, similar to the BUR system, then a waterproofing sheet similar to single-ply. To break it down, a modified bitumen membrane is composed primarily of polymer-modified bitumen reinforced with one or more plies of fabric such as polyester, fiberglass, or a combination of both. Factory surfacing, if applied, includes mineral granules, slag, aluminum, or copper. Modified bitumen’s generally use a traditional waterproofing medium — asphalt — modified with atactic polypropylene (APP), styrene butadiene styrene (SBS), synthetic rubber, or other agents that will enhance the asphalt properties. APP and SBS are the most common bitumen modifiers. SBS (Styrene-Butadiene-Styrene) modifies the asphalt by forming a polymer network within the bitumen. SBS gives the bitumen rubber-like characteristics and improved resistance to aging and weathering. Most SBS modified bitumen sheets are either set in hot mopping asphalt, torch-applied, or adhered with cold-process adhesives. SBS modified bitumen sheets that do not have factory applied granule or foil surfacing need some form of field-applied ultraviolet protective coating. APP (Atactic Polypropylene) is a thermoplastic polymer, which forms a uniform matrix within the asphalt. This enhances the bitumen’s performance by increasing its UV resistance, increasing its flexibility at low temperatures, and improving its flow resistance at high temperatures. APP modified bitumen sheets are generally applied using a propane-fueled torch. Applicators use the heat to soften the modified bitumen on the underside of the sheet. The sheet’s bottom surface becomes a molten adhesive, which flows upon the substrate and then cools to form a waterproof adhesive bond. Some APP sheets can also be applied with cold-process adhesives. This is to protect the roof system from any water penetration and protect the insulation from the heat of the torch. After the plies have been installed then the MBS roof system can be installed. For the reasons mentioned above we have classified the MBS roof system as a built up roof.